The Chessie System as an independent corporate entity would last but a mere eight years and in total survived barely a decade. However, its legacy lives on thanks largely to its colorful and attractive livery. The railroad itself was comprised of three principle subsidiaries; the Chesapeake & Ohio, Baltimore & Ohio, and Western Maryland. Its earliest beginnings trace back to the C&O's takeover of the B&O in the early 1960s, the latter also controlling the WM. From a corporate standpoint the railroad was quite a moneymaker, thanks to the C&O's strong performance in coal the system earned handsome profits during a time when the industry was struggling. In the early 1970s the trio unveiled a dazzling new paint scheme of blue, yellow, and vermilion with the Chessie the kitten’s silhouette overlaid in the Chessie "C." By that time most railroads had lost interest in eye-catching designs with the cessation of privately-operated trains. However, many journalists, and even executives, were impressed by the new look that endures through today. After a drawn out battle with New York Central the Chesapeake & Ohio won control of the Baltimore & Ohio with the Interstate Commerce Commission formally approving the merger on December 31, 1962. This signaled the beginning of what later became the Chessie System. That same decade the B&O acquired control of the Western Maryland in 1968. The WM was essentially a much smaller version of the B&O, running between Baltimore and Connellsville, Pennsylvania via Cumberland, Maryland. 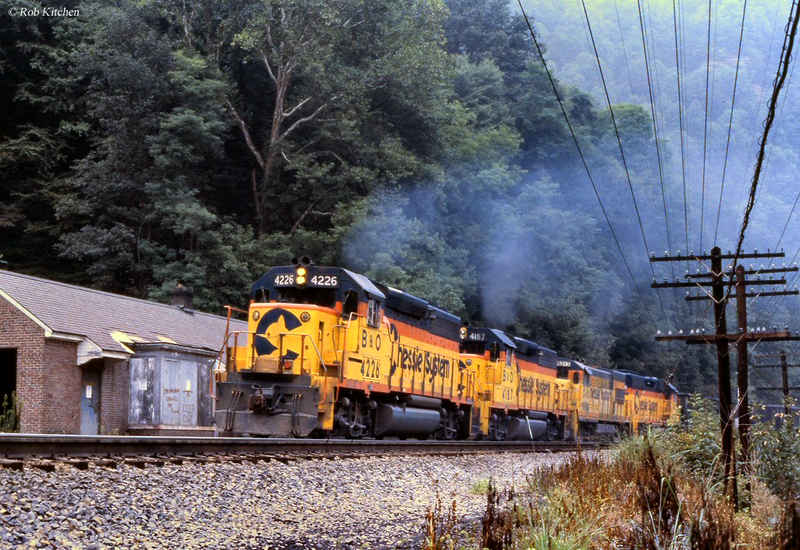 In addition, it operated a southerly extension to Elkins, West Virginia and branches south of that town. The WM often paralleled the B&O in many locations and handled considerable coal within the same regions although it never reached the many markets of its rival. Despite its regional status, employees of the "Wild Mary" took great pride in their company with extremely well-maintained equipment and rights-of-way. The Famous "Chessie Steam Special"
Chesapeake & Ohio: "George Washington's Railroad"
Western Maryland, Appalachian Coal-Hauler And B&O Competitor: "The Fast Freight Line"
At the time of the C&O takeover, the B&O was dealing with chronic financial problems; had the much more profitable Chessie not acquired our country's first common-carrier it was likely headed for bankruptcy. History could have been entirely different had the NYC wooed the B&O board and gained control, or at least formed a three-way consortium with the C&O. Interested in the potential the B&O could offer, in terms of both a more southerly reach as well as gaining access to additional coal fields, NYC's president, Alfred Perlman, tried to do just that. Perlman had success in turning around the Central's fortunes during the 1950s but realized it needed a merger partner to better compete against the Pennsylvania Railroad and assure its future. 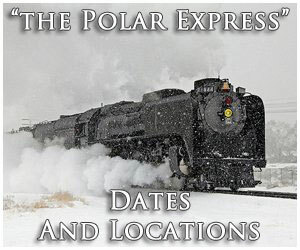 Unfortunately, rebuffed by the Baltimore road and pressured to find a partner he was forced to eventually join the PRR, forming the disastrous Penn Central system in 1968. Following the takeover, rather than merge the B&O out of existence the C&O chose to gradually combine the two railroads (slowly merging departments and other management areas in due course). In doing so the parent was more of an ally than owner. This was done for several reasons but two of the most important was so as it did not upset the extremely loyal B&O employees (who would never accept an outright take over and dissolution of their beloved corporation) and retain the tax exempt status the B&O held in the State of Maryland. This setup would last until 1972 when a new holding company was created for all three railroads, known as the Chessie System, Inc. Aside from some consolidated departments the trio continued to operate independently while flashing a vibrant new paint scheme of blue, yellow, and vermilion (sublettering was applied to owning equipment; "B&O," "C&O," and "WM"). This would change slightly in 1976 when the Chessie began to operate more as a unified, railroad. 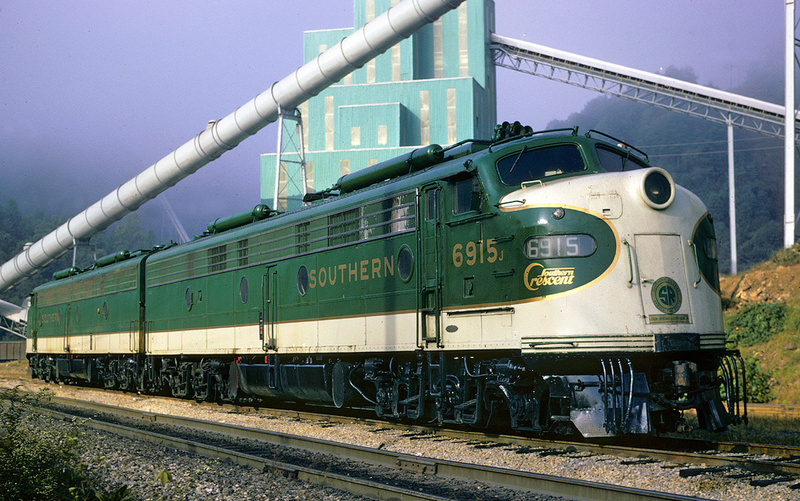 Much like the Norfolk Southern carried out later with its two steam programs and heritage initiatives during the 2010s, the Chessie System did the same during the 1970s and early 1980s. Then-C&O president Hays Watkins, in addition to being an excellent manager, loved railroads and was unabashed about sharing that affinity with the public beginning with the unveiling of Baltimore & Ohio GP40-2 #1977 wearing the new Chessie System livery in 1972. 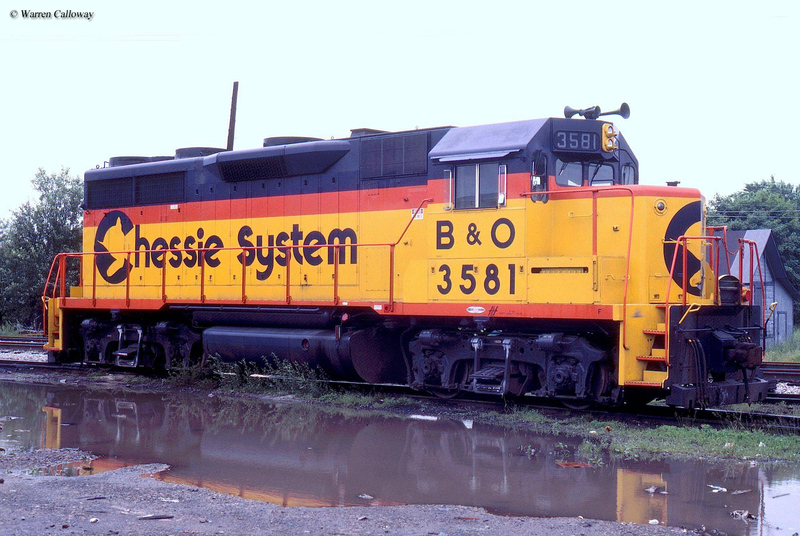 In 1982, Trains Magazine named B&O GP38 #3802 as the "All American Locomotive" (complete with a plaque, it is now housed indoors at the B&O Railroad Museum wearing its Chessie System livery) while a new Baltimore & Ohio GP40-2 in September, 1972 was given the number "GM50" and painted solid gold with blue markings to celebrate General Motors' 50th Anniversary building locomotives (the unit was later renumbered 4164). After its stint carrying the "American Freedom Train," Reading 4-8-4 #2101 (T-1) was repainted into company colors and paraded around the Chessie System's network from 1977 until 1978 as part of the Chessie Steam Special to celebrate the Chessie System's sesquicentennial during 1977 and Baltimore & Ohio's 150th Anniversary. With matching equipment, the train ultimately traveled through 10 states, carried 54,900 passengers, and traversed 18,641 miles in the process. A few years later a similar event was carried out from September 13, 1980 to November 1, 1981. 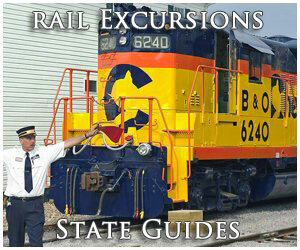 It was known as the "Chessie Safety Express" and was a PR program to educate the public about grade-crossing safety. The train was pulled by restored Chesapeake & Ohio 4-8-4 Greenbrier #614 and went off as another great success. Alas, these magical and fondly remembered PR events had largely been discontinued under CSX by the early 1990s. In 1971, Hays T. Watkins, Jr. was tapped as president of the Chesapeake & Ohio. 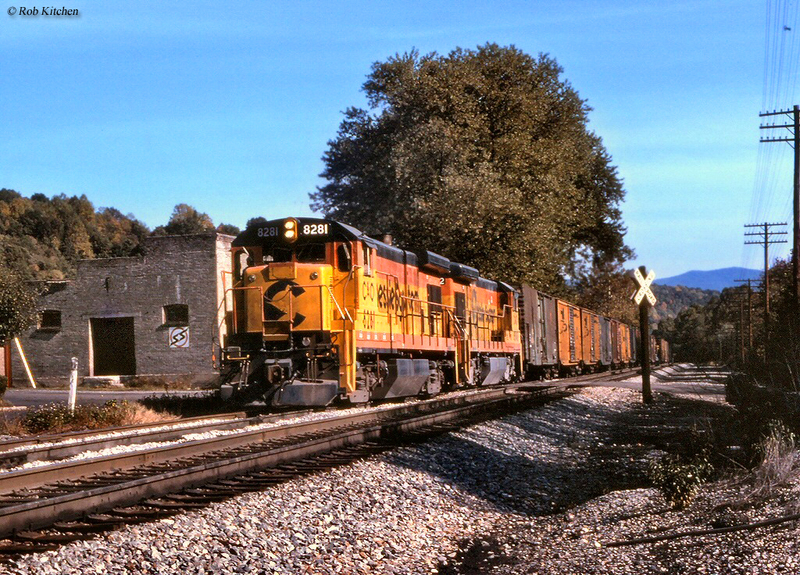 An excellent railroader with strong leadership skills, Watkins believed all three railroads needed a unique corporate moniker in which to describe their affiliation. It was similar to a concept the Louisville & Nashville, Seaboard Coast Line, West Point Route, and Clinchfield conceived at around the same time when they began painting "Family Lines System" on each railroad's equipment (the difference being that "Family Lines" was a marketing affiliation only). Watkins' team came up with the term "Chessie System," a name not new to the C&O. During the depths of the Great Depression the railroad was looking for ways to boost its sagging passenger business; folks were continuing to struggle during this economic downturn and automobiles were further hurting the industry's rail travel sector. Lionel Probert, the company's publication relations officer at the time, noticed in a newspaper ad a cuddly sleeping kitten and tracked down the artist, Guido Grenewald, who lived in Vienna, Austria. His piece was tailored towards animal kindness but Probert saw it as a chance to promote the railroad's new air-conditioned sleeping cars and revitalize sagging patronage. According to Thomas Dixon, Jr.'s, "Chesapeake & Ohio Railway: A Concise History And Fact Book," he purchased Grenewald's work for $5 and added the slogan, "Sleep Like A Kitten And Wake Up Fresh As A Daisy In Air-Conditioned Comfort." They named the kitten, Chessie, after the railroad and the first advertisement appeared in Fortune Magazine's September, 1933 issue. It was an immediate public sensation, which not only propelled ticket sales but also merchandising. Chessie has been argued as the greatest marketing idea ever conceived by a railroad and is most commonly remembered in scenes with the simple slogan, "Sleep Like A Kitten." As rail travel waned in the postwar period, Chessie gradually disappeared from C&O's advertising and by the late 1960s had largely been forgotten by the public. Watikins delegated the search for a new corporate logo and paint scheme to Howard Skidmore, then-C&O's public relations officer. He tapped a subordinate, Franklyn Carr, who led the creative department, to come up with a design. There were several factors to consider; the new company needed a bright paint scheme to attract attention for safety reasons while bold lettering would show strength and also catch the eye. In addition, since the new Chessie System would not only act as a holding company but also slowly integrate operations over time the concept of separate identities was no longer of primary concern. Carr, using the C&O's famous kitten as a template, overlaid the design within a large letter, "C" as a silhouette. 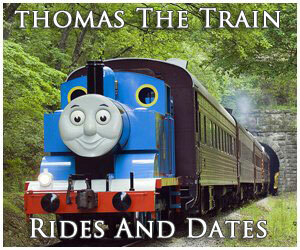 His boss, and the C&O board, loved the concept and quickly approved it. When applied to a locomotive, "Chessie System" was centered on the carbody against a large backdrop of C&O's "Federal Yellow." The rest of the paint scheme featured C&O's "Enchantment Blue" (a dark hue, similar to the B&O's "Royal Blue") along the skirting and roof-line while thin bands of "Vermillion" (a reddish/orange color) completed the look. The entire livery encompassed everything top management had requested. 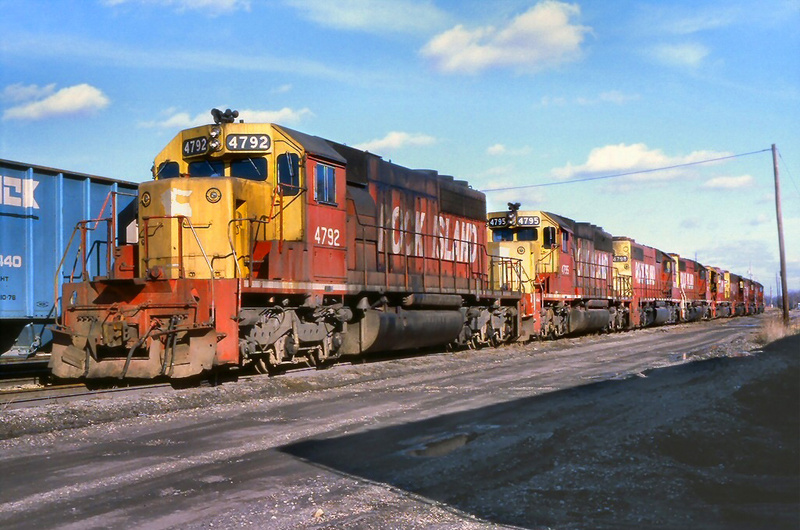 The first locomotive painted was Baltimore & Ohio GP40-2 #1977, unveiled in Cleveland, Ohio following its completion by General Motors in August of 1972. The year also coincided with the B&O's 150th anniversary and is why it was given this particular number. Of note, much of the public was first shown the new Chessie System scheme during GM's Executive Conference held at the C&O's Greenbrier Resort in White Sulphur Springs, West Virginia in November of 1972. In this case, a new unit, #4163, was renumbered 1977 and presented at the conference (the original had been renumbered 4100 and placed into active service). It is most often the locomotive photographed as #1977. 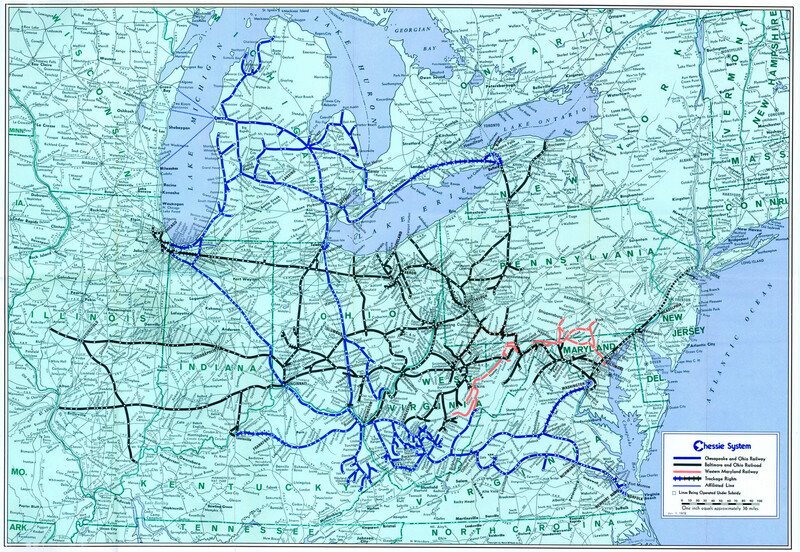 Operationally, the Chessie System maintained most of its subsidiary's original networks early on, except for the Western Maryland. 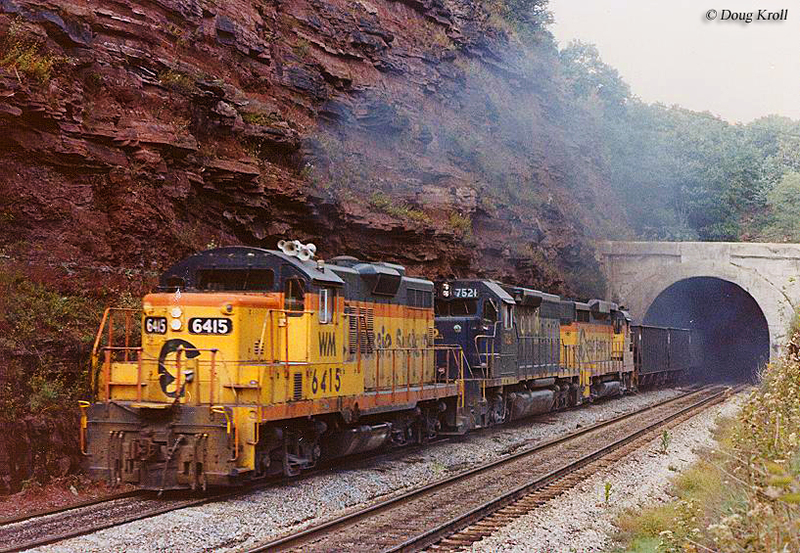 In 1975 it abandoned the WM's Connellsville Extension and slowly removed or sold other segments until the creation of CSX Transportation in 1986 (today, little remains of the WM's network). The 1980s also witnessed segments of the C&O and B&O removed with the latter's St. Louis main line severed after 1985. By this time the Chessie roads were integrating with those of Seaboard System. 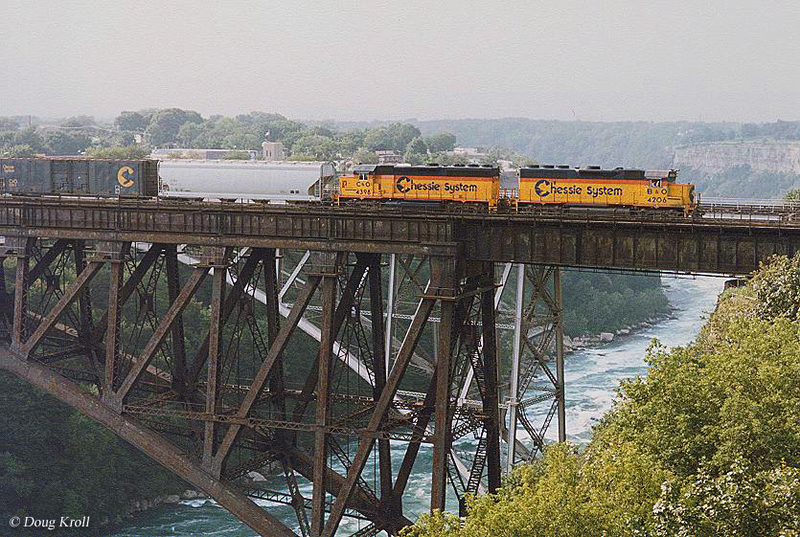 On July 1, 1986 CSX Transportation was born to operate CSX Corporation's (formed on November 1, 1980) railroad division. 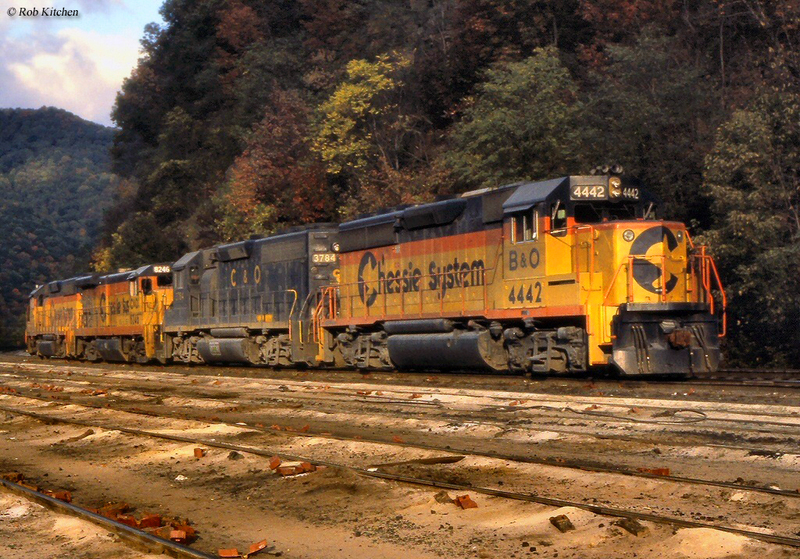 While the southern roads were merged into their holding company on December 29, 1982 (Seaboard System, whose name disappeared with CSXT's creation) the Chessie System roads survived for a few more years. 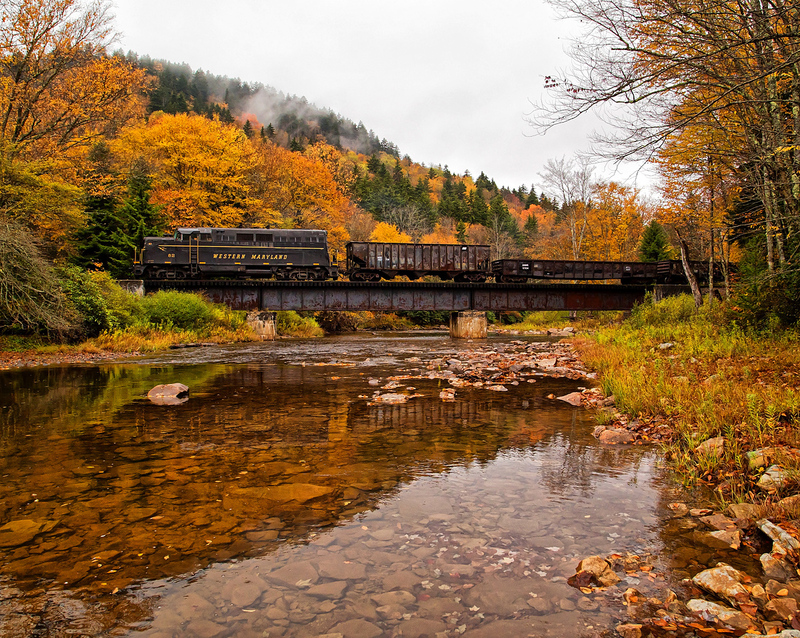 According to Trains Magazine, the Western Maryland was the first to disappear, merged into the B&O on May 1, 1983. The B&O and C&O survived as "paper" companies for nearly a year into the CSXT era: B&O vanished into the C&O on April 30, 1987 (ironically it had just celebrated its 160th birthday on April 24th). Finally, the C&O was formally dissolved as a corporate entity on August 31, 1987. The last new locomotives to carry Chessie System paint were a batch of SD50's Electro-Motive delivered during the summer of 1984. Ironically, in contrast to the Chessie's brilliant livery the new CSX scheme was dull and bland, originally featuring only grey and deep blue with simple "CSX" markings. Even today, more than 30 years since it was created, the CSX livery is rather straightforward and the most unimaginative of all the Class I's. It is rather interesting that for a railroad which survived independently for only eight years, and fifteen altogether, the Chessie System continues to hold true a mystic about it; not only has there been several books honoring its history but also hobbyists and modeling manufacturers continue to produce its equipment. 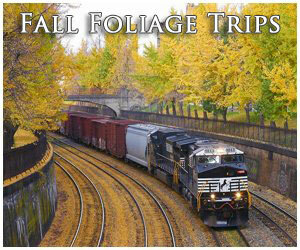 Perhaps this is due to both its alluring paint scheme as well as the legendary railroads that made up the road. Whatever the reason there is no denying the impact it continues to hold over railfans and historians today and will undoubtedly continue to so into the future.